Up until recently, this sweet stray dog didn't have a friend to call his own, his daily struggle as a homeless pup unseen by the world. But now he's being hailed a hero — and for a very good reason. On Monday, a man cycling through the mountains of western Romania broke his collarbone after falling off his bike. Unable to continue due to the injury, the man was stranded on the trail as night began setting in, putting him at risk of exposure in the chilly alpine air. Fortunately, however, he found an unlikely friend to keep him safe. Upon arriving to assist the cyclist, first responders from the county of Caras Severin discovered that someone had already beat them to it. It isn't known if the dog had been living in the mountains from birth, or if he had recently been abandoned there. But his compassion toward a stranger in need nevertheless speaks volumes about his heart. Or, as officials described it: "Man's best friend gives a lesson on 'humanity.'" 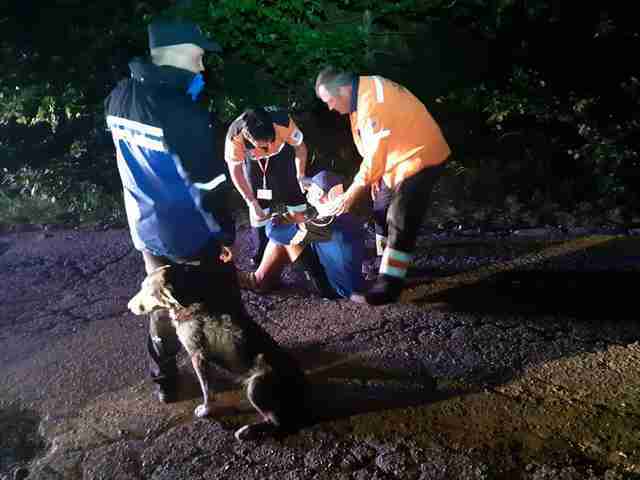 The injured cyclist was eventually transported to safety, but he wasn't the only one saved from a harrowing ordeal. 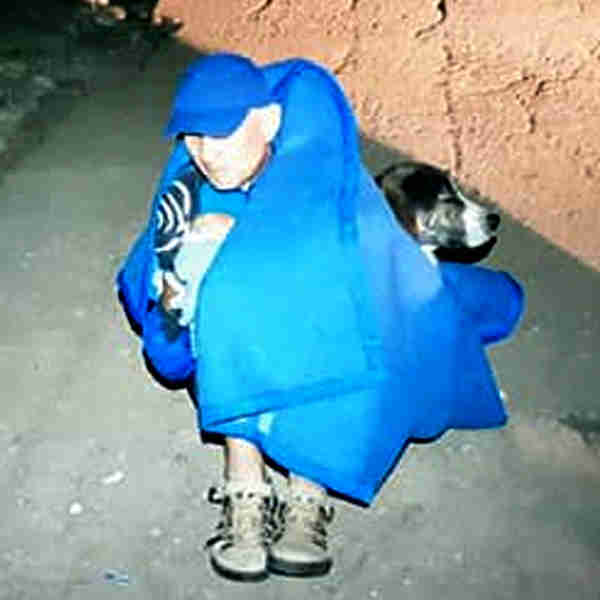 First responders gave shelter to the heroic pup, known now as Savior Dog, and spread the word of his good deed online. And within a matter of days, a family stepped in to adopt him and shower him with a lifetime of love. After all, a hero deserves nothing less.